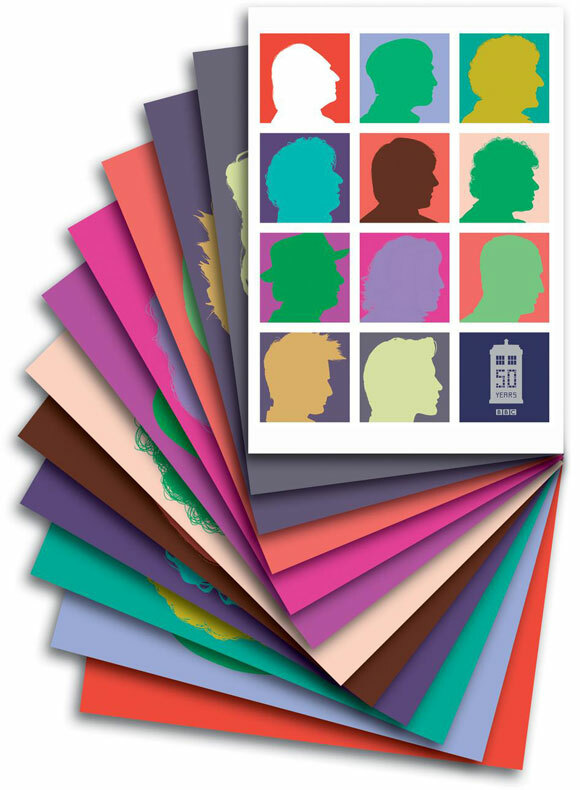 To celebrate the anniversary, three sets of postcards are being released. 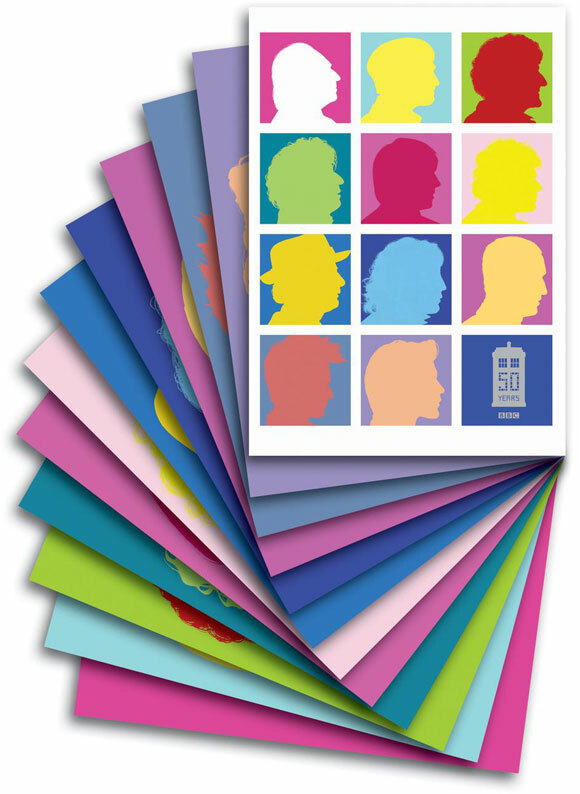 Each set will contain a singular postcard for each Doctor and one with all Doctors and the TARDIS on it. They are £10.69 each. That's the one I like. With too many colours there is too many chances to get colours I don't like. 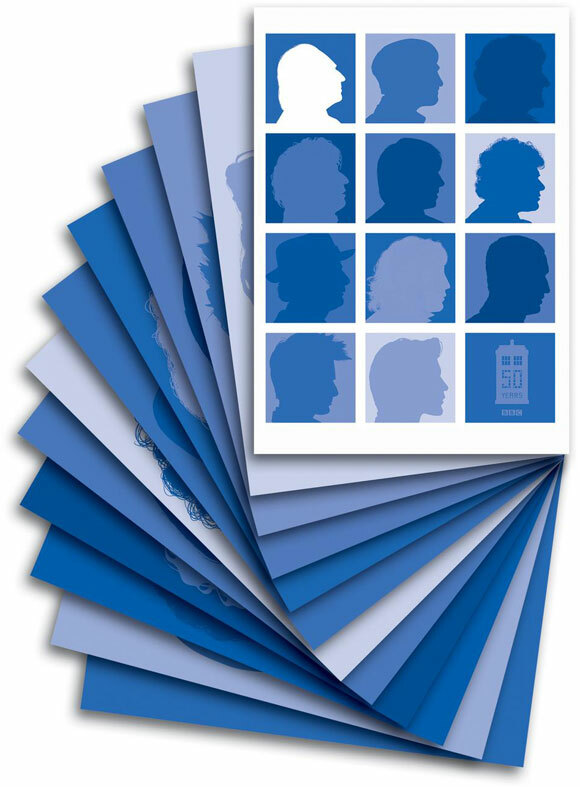 The colours are a bit dull for my liking, and I'm not keen on some of the mixes, like yellow and blue. I never think that goes well together.